Every woman needs her tribe. They are there for us in the joys, hurdles, celebrations, suffering, and all the moments in between. They laugh, cry, scream and pray alongside us. Their hugs comfort us, their words encourage us, and their love sustains us. They are our girlfriends, mothers, daughters, coworkers, neighbors, sisters, cousins, mentors – they are the women in our lives, our tribe. We are created to support one another. The Women of ithrive31® are empowered, strong, and beautiful women who have something important to say to other women. Their messages lift you up when life is tearing you down. 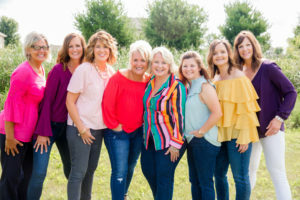 They are inspired by real women and represent the ithrive31 six life areas of well-being – Financial, Physical, Emotional, Professional, Relationship and Spiritual. By focusing on each of these areas, we create greater balance in our life. Through their wise counsel these women offer insights for what it means to live a thriving life. These amazing women are inspired by my tribe, and are a product of my deep desire to help women be the best they can be. The Women of ithrive31® share words of wisdom to navigate the journey of life. They also share a bit of encouragement overcome life’s challenges and celebrate the joy of sisterhood. It’s never easy, but we get by with a little help from our friends. 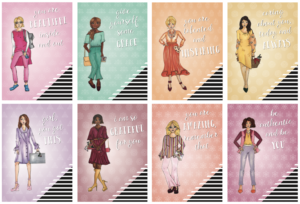 Send a message of encouragement, peace, love or wisdom with the women in your tribe with the women of ithrive31 note cards. All profits from the sale of these cards benefit Dress for Success in Des Moines, IA. 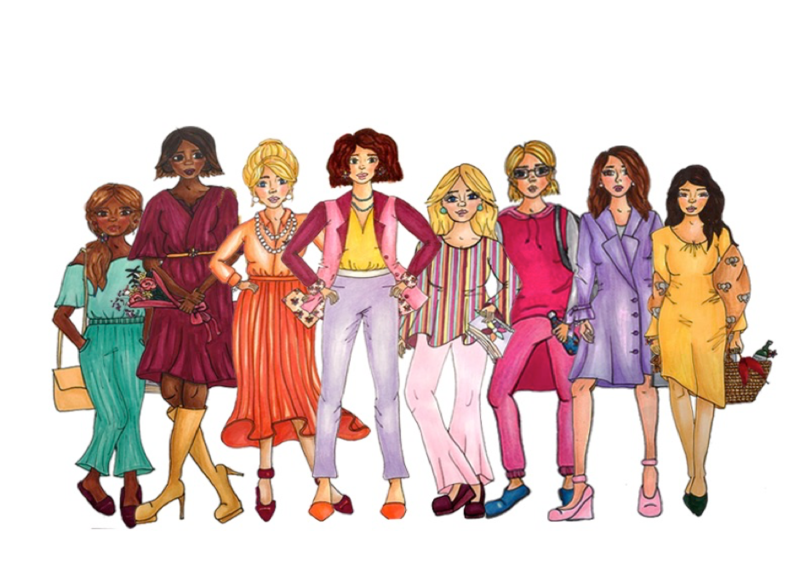 This non-profit organization empowers women to achieve economic independence by providing a network of support, professional attire and development resources to help women thrive at work. Artist, designer, friend, illustrator and really cool woman. Rylie Christina, is a student at Iowa State, an entrepreneur and a fashion/lifestyle blogger. 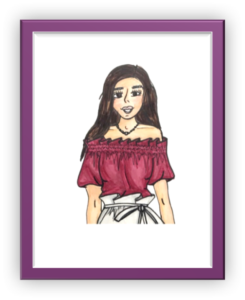 https://www.ryliechristina.com/ She is also a Rockstar illustrator! She embodies the spirit of the ithrive31® woman – empowered, strong, and beautiful. Like all women, Rylie’s story is not without challenges. At age five Rylie was diagnosed with AL.L. Leukemia. Even in ringlet pigtails, she took her lemons and made lemonade. Today, Rylie’s spirit of determination and her compassionate heart shine brightly in all that she does. With these attributes with her amazing talent, Rylie is one to watch. As my “tribal daughter”, I am blessed to have collaborated with her to create the Women of ithrive31®.